Drinking Waters is known for our selection of robust outdoor wall mounted fountains in South Africa. Our outdoor drinking water fountains are stylish and classy which makes them ideal for a number of external spaces. Our wall mounted outdoor drinking fountains are ideal for both educational and recreational spaces. These spaces include schools, gyms and parks which are in need of easily accessible water. Drinking fountains are easy to use. All you need to do is push or place pressure on the button found on the top of the bubbler. Other water fountain models have the buttons on the side panels. Our water fountains contain a bubbler as well as a fitted cup filler which ensures that you are able to easily fill up water bottles. There are no installation difficulties with the water fountain. Access to a mains water supply and drainage facility is all that you need. When installing a water fountain, it is connected to an external drain which offers the perfect alternative to a standard water cooler. This is also equipped with a small drip tray. 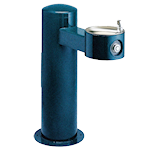 Our quality outdoor drinking water fountains are made from robust stainless steel. The reason for this design is for it to endure and handle high usage environments. Drinking Waters also offer a range of remote chilling units which are connected directly to the fountain. 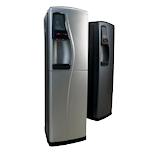 Our remote chiller range includes models that can produce up to 60 litres of chilled water per hour. It is important to note that when wanting to install a water fountain you need to be aware of access to the mains supply, water waste and possible electrical circuits before installing. Contact Drinking Waters to provide you with quality water products and effective services. Simply, give us a call on 021 813 6631 and let us find the ideal long-term hydration solution for you.